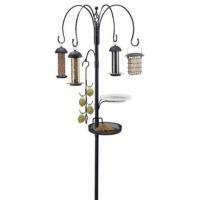 • Dimensions: 18" x 15" x 8.75"
My favorite feeder, very sturdy and sits high off the ground, so less deterioration. 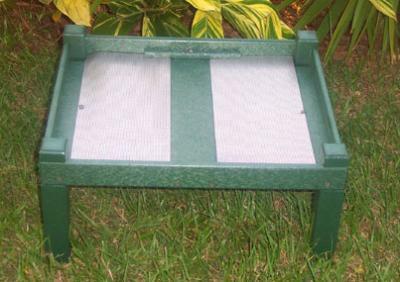 Easier to clean and fill as well. Hard to find, so I bought extra. Extremely happy with the product. 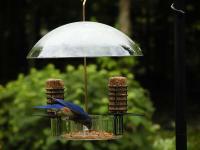 Birds feel safer, squirrels and skunks can fit underneath and get fallen seeds as well. Our woodchucks like it also.